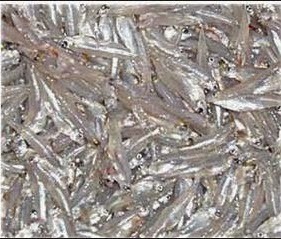 The Kachki fish [কাচকি মাছ Spice C. soborna] common name in English "Ganges river sprat" local name in Bangladesh "Kachki, Guramach and Taki". With the same ingredients only different technique and minimum cooking you can get two very different recipes and unbelievably tasty. Now In India, in the state West Bengal You can find the Bengali hindu people easily dividing themselves into two codes, neither caste nor prosperity their identity belongs to East and West Bengal known as Bangal [বাঙাল] and ghoti [ঘটি or এদেশী]. Pre-independence who were rooted to the west part of the country Bangladesh (now in India as West Bengal) is popularly known as ghoti. Bangal people are who lived in the eastern part of the Bangladesh, but migrated after partition of the country to the west with the willingness to live in India fortunately got placed in the same geographical condition of Bangladesh situated in India, "West Bengal". Clearly more localized bifurcations and the cultural differences between the bangals and ghotis accentuated post-partition in the city Kolkata by the refugee influx and their further intricate rustic Bangla much-publicized as Ghoti-Bangal maladjustment between the speakers of West Bengal and East Bengal dialects respectively along the areas mixed with Sylhet, Chitagong, Barishal, Dhaka, Tangail, Mymensingh or Foridpuri etc and created new cultural identities as Bengali at the same time. Much to the dismay of ghotis (thought to be more intellectual) and bangals (thought to be more cultural and food oriented) dishes what is today widely regarded as Bengali cuisine is in fact based on a bangal selection of ingredients and preparations. Like every single individual of Bengal the famous writer and novelist Lila Majumdar also had taken a part in this debate who can cook more good food Bangal or Ghoti. She also invited the ghoti for a competition if they can cook kachki machher baticharchari like bangal. She expressed her opinion as "ghoti" people not even know what the Kachki machh is. When you put together the tiny kachki fish it looks like shining silver, mound of pearls, bones cannot even feel eating. Bati-charchari is one of the very special technique of Bengali cooking where fresh fish or vegetables with or without peels marinated with raw mustered oil and mustard seeds with green chili paste cooked without much attention in a closed lid pan on a slow fire or in a covered box inside the boiling rice. Directions: 1. Wash well the fish in a strainer under the running water then put the fish in a bowl of water. It helps to clean the fish more efficiently. After 5 minutes take out the fish carefully from the bowl or water, and discard the water. Mix the fish with turmeric and salt. 2. Heat the oil in a heavy-based saucepan until smoking point, first add slightly broken red chili and deep fry the fish for 5 to 6 minutes or until it fries crisp. Enjoy golden fry crisp kachki fish with musur dal (red lentil) like a Bengali. Directions: 1. Mix the cleaned fish with turmeric, salt, mustered oil, mustered paste, whole green chilies, and sprinkle sugar, keep it in rest for 5 minutes. 2. Put the marinated fish in a tight box, put the box in the rice pot while cooking just before finish the cooking of rice. Let the rice comes to a rolling boil once more, discard the excess water of rice, keep the box inside the hot rice. Keep a lid on the hot rice pot. Give a standing time for 5 more minutes. Enjoy the kachki baticharchari with piping hot rice. 3. Otherwise you can cook the recipe in microoven in a closed pot.